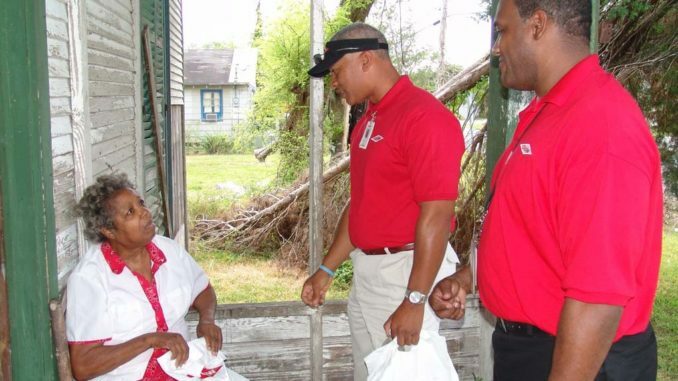 More than 50 Dow employee volunteers from the St. Charles Operations facility recently spent the afternoon visiting neighbors in the Killona community and in areas of Hahnville during Dow’s Door-to-Door Day.”I think it’s good for the neighborhood and I think that all petrochemical industries should do what Dow is doing,” said Killona resident Sid Lockett. Employees walked door-to-door distributing giveaway bags containing information on the St. Charles Operations site and basic safety information. During the visits, residents also had the opportunity to ask questions concerning the facility. Hahnville resident Brenda Madere said, “It gives the community a chance to voice their opinions and concerns. I think it’s wonderful that Dow comes out and gives personal information to the public.” During the visits, residents also had the opportunity to ask questions concerning the facility.